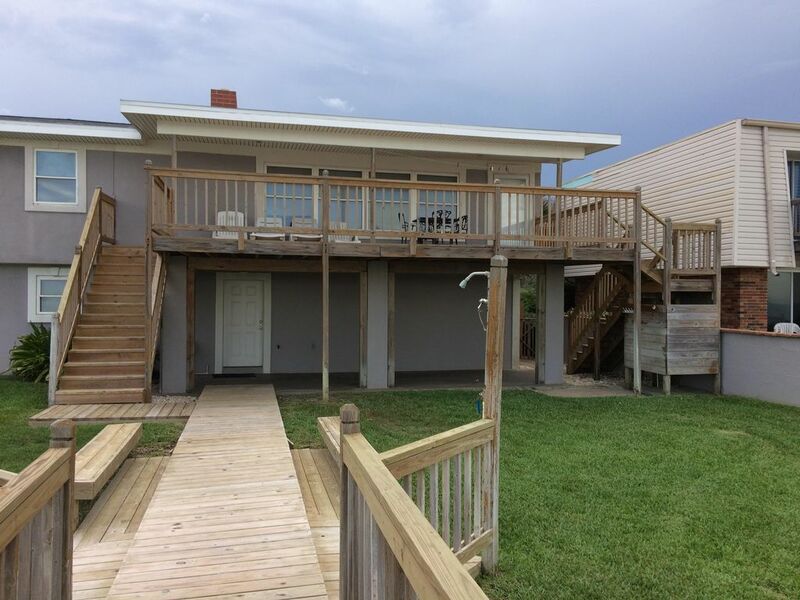 This home features a second-floor deck partially covered for relaxing with a great view. The home is situated only fifty feet from the water. Powerful AC throughout the home. Cable. Free Wifi. And the home is built for vacationing! Three outside showers allow several to rinse off quickly to get ready for other activities. Hardwood flooring upstairs compliments the home. Seven single beds, one queen bed, and one king-size bed allows for large families or groups. Sheets, pillow cases and towels are furnished. Bed spreads, blankets, mattress covers and pillows are furnished. Keywords: Ocean Front Beach House.